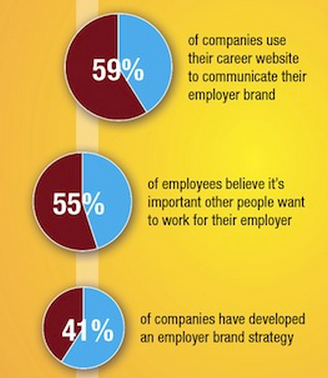 Considering how important employer branding is, I still encounter a lot of confusion and misinformation about it. So, as a public service, I thought I’d bust some of the myths about employer branding. Some clients tell me, “We’re an employer of choice; great candidates will find us.” And yet you never hear executives at Apple or Disney or Coke say “Everyone knows our products; customers will find us.” In fact, those brands have massive marketing budgets. You can’t assume that your exact desired demographic, whether it’s MIT grads or truck drivers, will actively seek you out. Or think about this: What if great candidates do know you — and don’t like what they see? Employer branding can increase awareness and engagement by refocusing your messaging on your company’s mission, vision, values, and business strategy. Good employer branding actually saves you money, through lower recruiting costs, higher engagement, and increased productivity/sales. Depending on the plan goals, a basic research project can be launched for as little as $10,000. You can start small with communication audits and internal surveys, and then add executive interviews and employee focus groups. If you can secure a larger spend, we recommend surveying external constituents to provide context to your internal findings. It better not be! An employer brand must be absolutely aligned with and inspired by the consumer brand. After all, candidates are customers, investors, and influencers. One of the first things we do on any employer branding project is break through organizational silos and align the employer brand with the company’s current messaging. We try to get all stakeholders — Marketing, HR, Internal Communications — into the same room to make sure we have a consistent brand that’s authentic on both sides of the house. Along the way, we often help Marketing and HR become friends! It can, but it’s much more difficult. Employees are reluctant to share their true feelings with their HR department for fear of reprisal. Executives interviewing each other often leads to an “echo chamber” effect, where no one advocates change. And external constituents, such as customers and former applicants, think surveys are a marketing ploy and stay away. Brandemix is a neutral third party; we take empathetic listening to the next level by listening, probing, and processing. An outside set of eyes can reveal things about your employer brand that you never saw. Au contraire! The entire company benefits from a strong employer brand. You’ll attract employees who are a good fit for the culture, who stay longer, perform better, and recommend the company to others. More referrals and lower turnover makes for a happier, more stable workplace. HR will have more time to work on other initiatives, like workforce planning, talent management, or diversity. 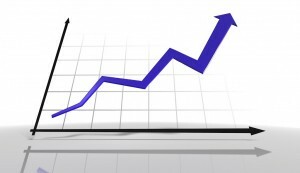 Eventually, you’ll have weeded out the underachievers and filled your roster with satisfied employees, which studies have shown create more profit for the entire organization. Don’t let these myths fool you. Employer branding is crucial to the success of any company, from a nonprofit to a regional chain to a global corporation. It cuts costs, generates profits, and can turn your company into a true employer of choice. Any other myths you want busted? Drop me a line.